Instagram can be a very dangerous and inspiring place on the world wide web! I remember when I first joined instagram for the filters and kept my profile private for about 3months.. I had probably 3 followers. I am a person who enjoys visuals and graphics. 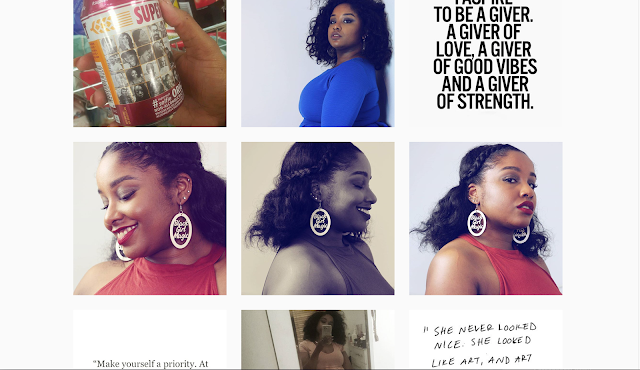 I am an artsy kinda gal, which is probably why my largest social media platform following is Instagram, because I like posting purty photos! It is so easy to get lost in the perfect photos, with the perfect lighting, with the perfect tone and perfect look. I won't lie there are times when I scroll through Instagram and start to pick myself apart, comparing myself to the women I see who look flawless..but then I click back to real life and remember the magical worlds of photoshop and facetune! A lot of people always ask me, how come you follow under 100 people on Instagram. Simple answer. I like what I like. I follow who I like. and what I like has to inspire me. 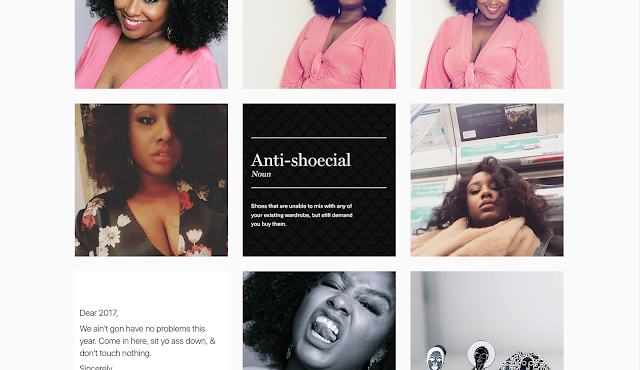 My biggest ever pet peeve on Instagram are profiles that are full of selfies...just photos of the account owner...that doesn't inspire me at all. So I like to keep it to a minimum. It satisfies me. 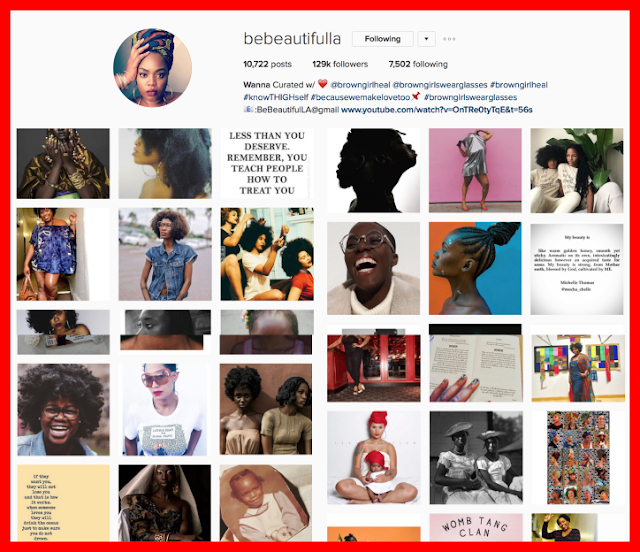 I thought I would share with you some of my Instagram girl crushes!!! You should definitely go and follow. These women inspire, educate, empower and uplift me and also are just amazing in every way!! is my good ole internet friend who constantly inspires and excites me!! Just looking through her feed, you will feel so proud to be a melaninated goddess. Not only is she an amazing curator she is also a wonderful actress, which is how I discovered her via her appearance as Nia on BlackandSexyTv. Why should you follow her? Because she celebrates black beauty in the best way possible. Why should you follow her? She embraces being a plus size goddess to the fullest!! 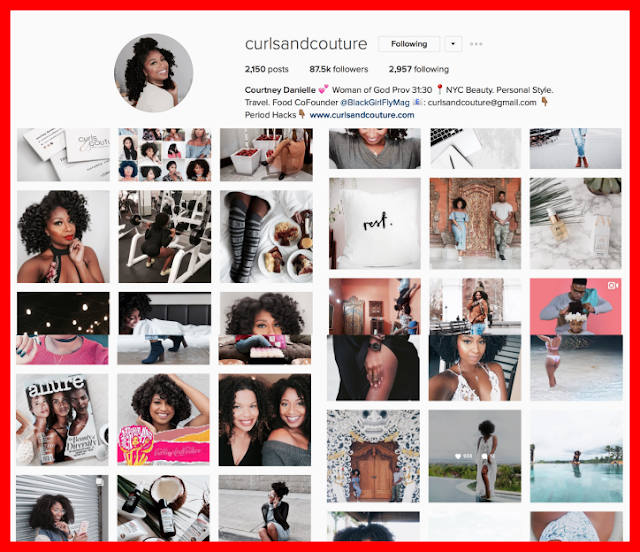 One of the reasons I love Courtney's feed is, it isn't your typical blogger feed. As beautiful as her photos are, they never seem too planned and thought out where you feel she is constantly selling something to you. I love her style and I see a lot of myself in her, in terms of content creating. Not only does she has fabulous hair, she is a fierce blogger business woman who is out here getting it!! Why should you follow her? Because she isn't your typical big afro hair blogger, she has style, beauty and a message!! 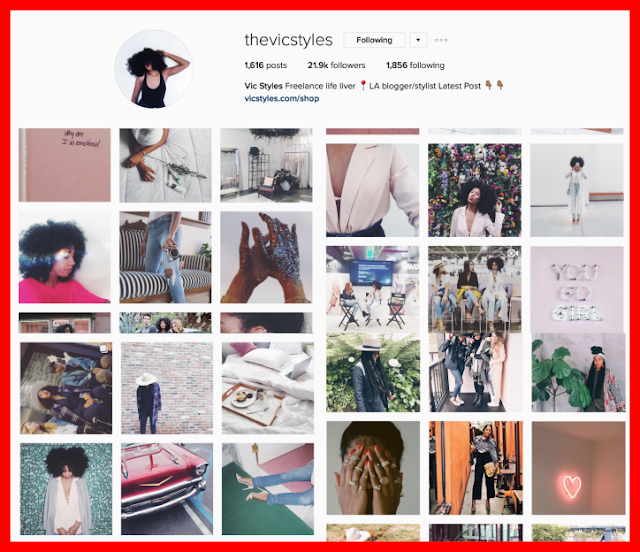 I discovered Vic Styles via another person I follow, and all I can say is her aesthetic is just appealing to me!! Like.. the creativity she displays speaks to me so much. I am so inspired by her carefree-ness and unapologetic beauty..plus her instastory unboxings are LIFE!! They are sooooo simple yet sooooo amazing. 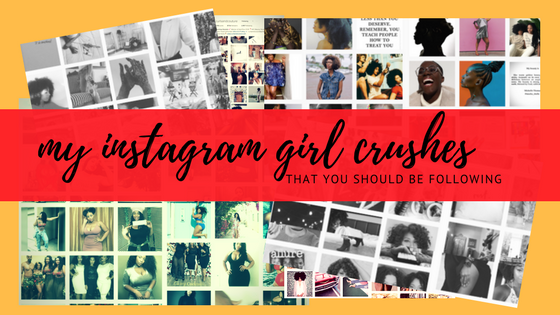 Let me know who are your instagram girl crushes and why below!! !